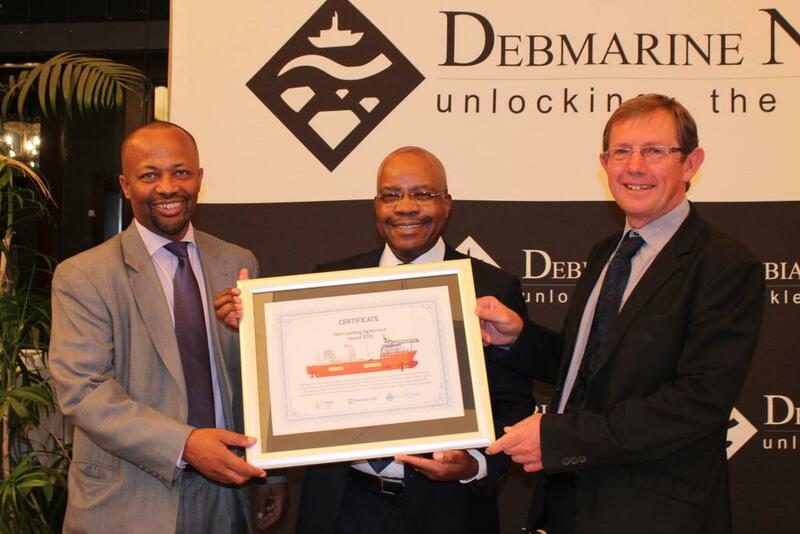 US$150 million deal for Debmarine Namibia’s diamond exploration and sampling vessel. In the biggest transactional deal to boost marine diamond mining in Namibia, RMB Namibia and Standard Bank Namibia partnered in a US$150 million deal (approximately N$1.8-billion) to procure a new diamond exploration and sampling vessel for local company Debmarine Namibia. The long-term lending agreement will enable Debmarine Namibia to acquire a fully-fledged marine diamond exploration and sampling vessel with factory capabilities which will be named: ‘mv SS Nujoma.’The vessel will be used for diamond exploration and sampling operations that will take Debmarine Namibia’s mining operations to a new level. The vessel is being built in Norway. The mv SS Nujoma vessel will be the sixth addition to Debmarine Namibia’s fleet which currently comprises of five diamond mining vessels.The deal is one of the largest corporate transactions concluded in Namibia and further underscores both Standard Bank Namibia and RMB Namibia’s support to mining, one of the core economic sectors of the country. Debmarine Namibia is one of the leading diamond mining companies in the world and currently the largest earner of foreign earnings for Namibia. The US$150 million asset based finance facility will contribute towards the sustainable provision of revenue for the country.The 50% ownership of Debmarine Namibia by the Government of Namibia facilitates the transfer of all declared profits to wealth creation in Namibia.